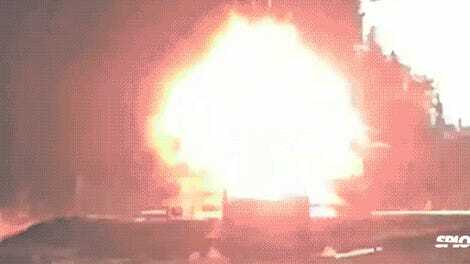 For years, we’ve been sharing videos and images showing the destructive power of the United State Navy’s electromagnetic railgun. But we might soon be seeing the last of those horrifying GIFs. Instead of using chemical combustion, the railgun fires projectiles using magnetic fields generated by enormous amount of energy. 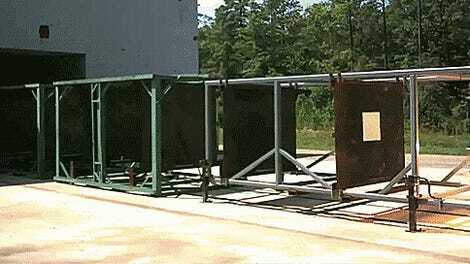 The superweapon is capable of shooting projectiles at 4,500 miles per hour and hitting targets 100 miles away. According to military veteran news outlet Task & Purpose, the railgun, which has cost the Pentagon about $500 million since its inception in 2005, could be entering its twilight. 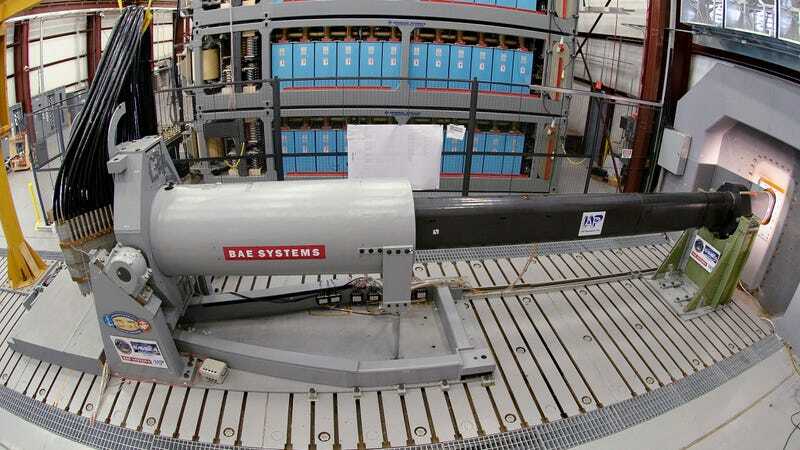 The recently declassified Strategic Capabilities Office (SCO), which is tasked with helping usher new defense tech from testing facilities to combat, has reportedly shown less interest in the railgun than in other weapons under development. The waning enthusiasm might prevent the railgun from undergoing necessary tests that would allow the gun to be used in battle. As the Navy has been developing the electromagnetic railgun, it has also been investing in hypervelocity projectile (HVP), a low-drag guided spike that the railgun could use for ammo. And now it seems the SCO has more interest in that ammo than the railgun it was originally built for.